Supervise your children at all times, especially around fire, cooking and heating. Don’t let your children use fire - helping with lighting the fire or burning off makes children think that they can control fire. Lock away matches and lighters - just like you lock away medicines and other dangerous household substances. 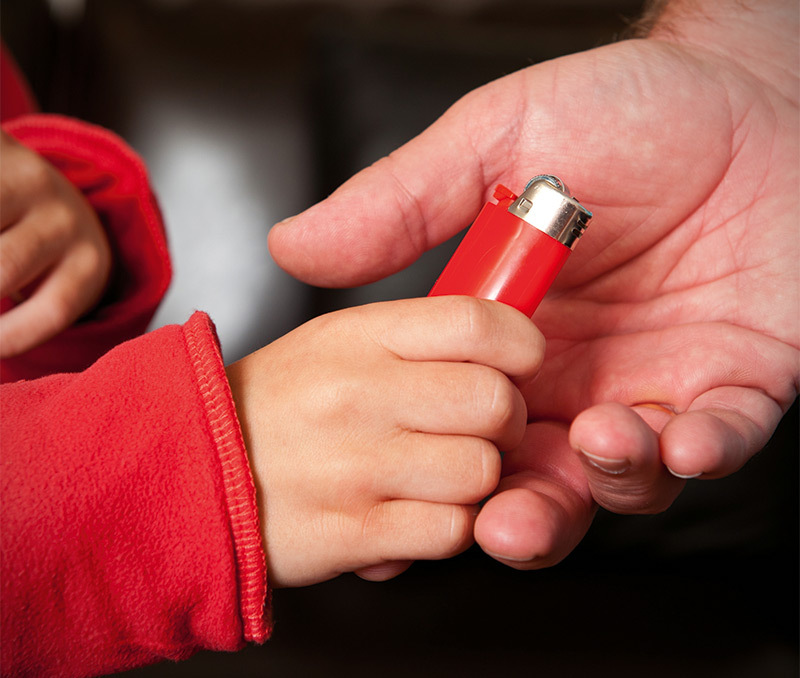 Teach your children to tell you about any unattended matches or lighters they find and reward them for their honesty. Lead by example - reduce the risk of fire by using fire, cooking, heating and electricity safely. Have working photoelectric smoke alarms in all bedrooms, hallway and living areas. Make sure your children know what an alarm sounds like and what to do if it goes off. Sleeping children are unlikely to wake to an alarm unless it’s in their room and they have been taught what the sound of the alarm means. Everybody in the house should know what to do if there is a fire - have a family home fire escape plan and practice it at least twice a year. Put your hands over your face. Gently drop to the ground. Rock and roll back and forth on the ground until your clothes stop burning. This will smother the flames while protecting your face, mouth and lungs from the flames.